Missing listing in Medcalf & Russell and easily cherry picked with unsuspecting sellers. If lady liberty (with starfish) is upside down you just located a 180 degree rotated die error! 180 degree rotated die shown in red. I’m in search of a specimen to disprove a theory. I’m looking for a low volcano thick specimen. The theory is low volcano die was used first on thin planchets. The high volcano was latter used on thin planchets. The high volcano die was then used on thick planchets. To disprove this theory I must locate a low volcano thick planchet specimen (which should not exist). Image shows from right to left my theory. The specimens are in my personal collection. CLICK AGAIN TO SUPER ENLARGE. 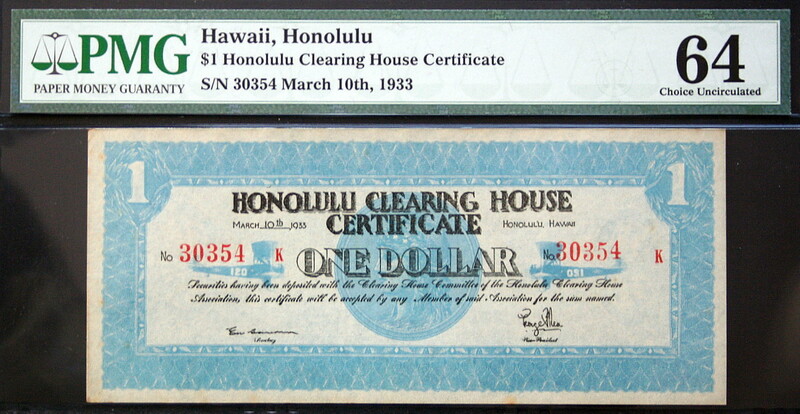 HA is the stock symbol for Hawaiian Holdings Inc. The parent company of Hawaiian Airlines. In 1977, the Franklin Mint issued a proof silver ingot for Hawaiian Airlines, Inc. This was ingot No. 1 from the Airlines of the World Emblems set. 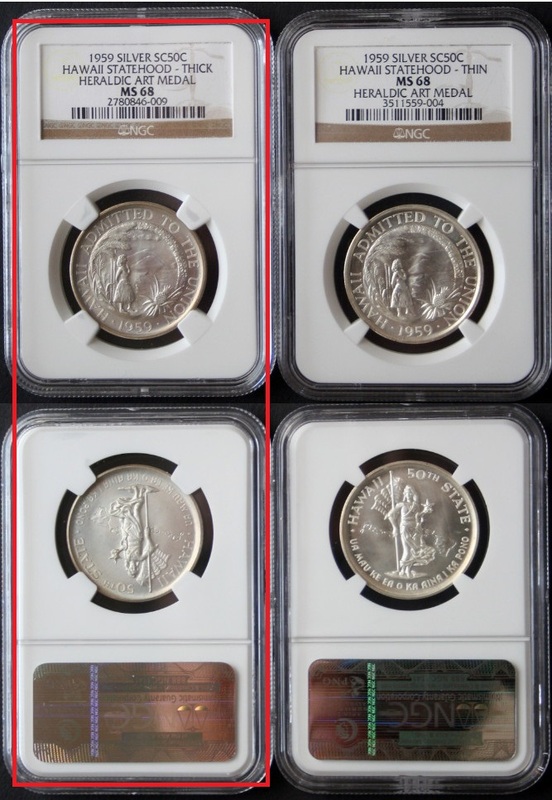 In 1999, the Royal Hawaiian Mint issued medals (same obverse and reverse design, but one struck in silver and the other in cupra-nickel) to celebrate its 70th years of service. Why discuss this company? I have vested interest as a stockholder. HA is 3rd current top performer in my portfolio with broker X. US Postmaster was once again busy in delivering a package to me from Australia. I inspected the medal and it will be included in my book about the Franklin Mint issues. 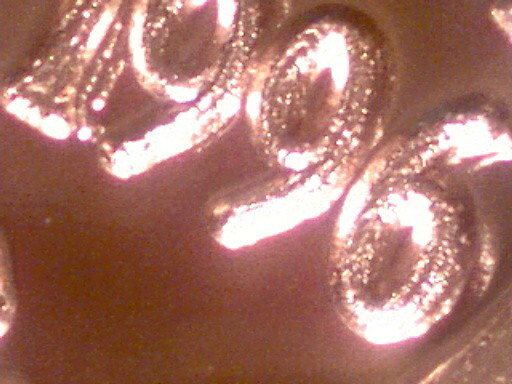 Image is of 24KT gold on sterling silver. 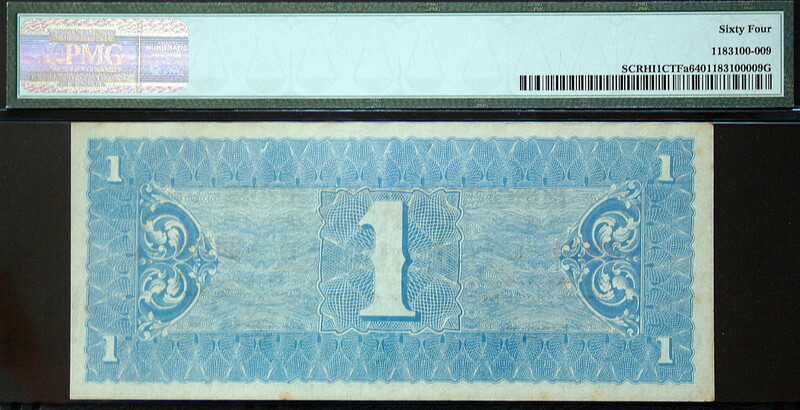 The “S” on the reverse is a mint mark (Sydney). 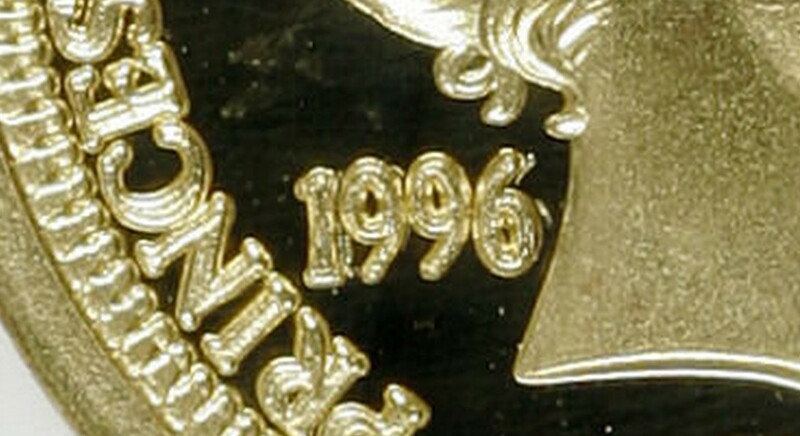 Edge marking are similar to normal Franklin Mint issues. FML = Franklin Mint Ltd. 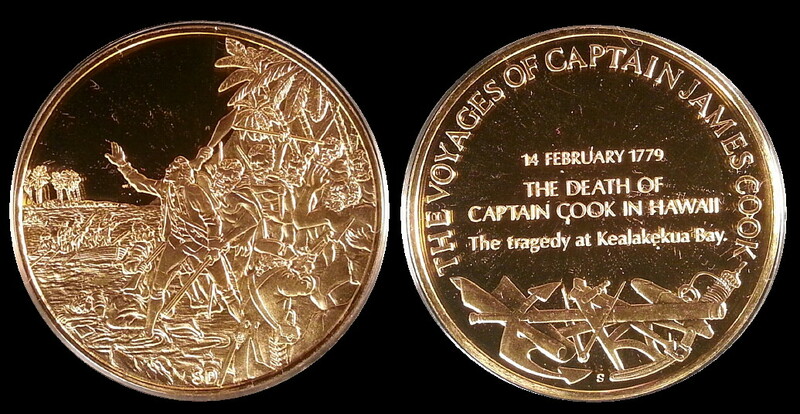 This medal was struck in 1979. The US Postmaster at my local Post Office handed me my latest acquisition today. 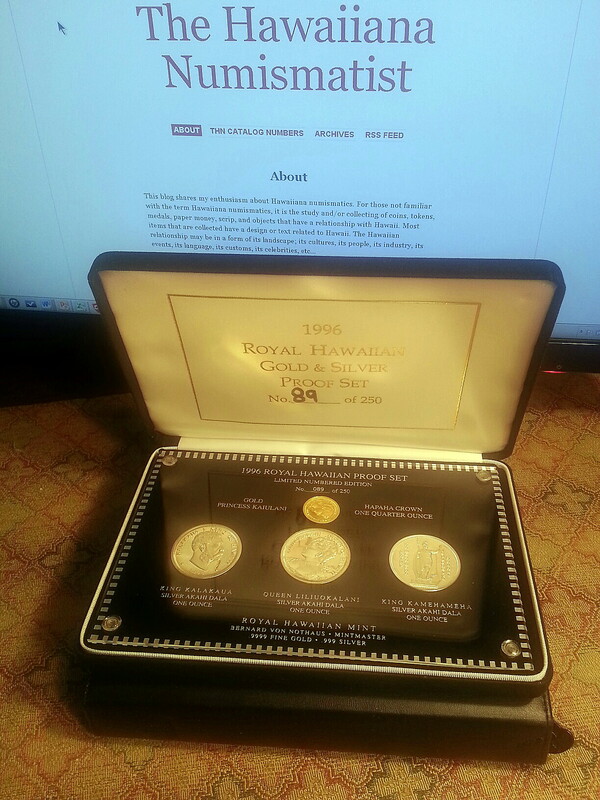 A rarely seen Royal Hawaiian Mint 1996 Gold and Silver Proof set. Only 250 sets were assembled. 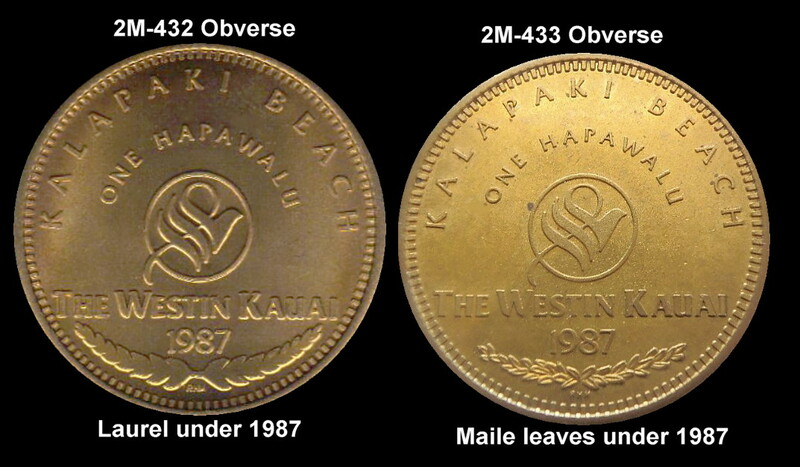 The key coin in this set is the 1996 Princess Kaiulani Gold Hapaha. Below is my new set. The images below are 60X magnification of the year 1996 on my specimen. 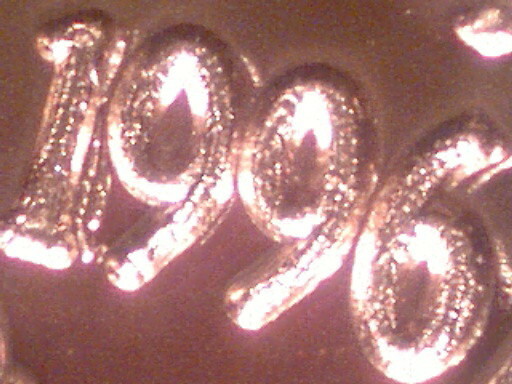 Notice the multiple 1996? Focus on the main number 1. Look to the right and see two images of 1’s. You can also see the doubling on the number 6. Also, both 9’s have a thickness. No other parts of the coin show these symptoms. 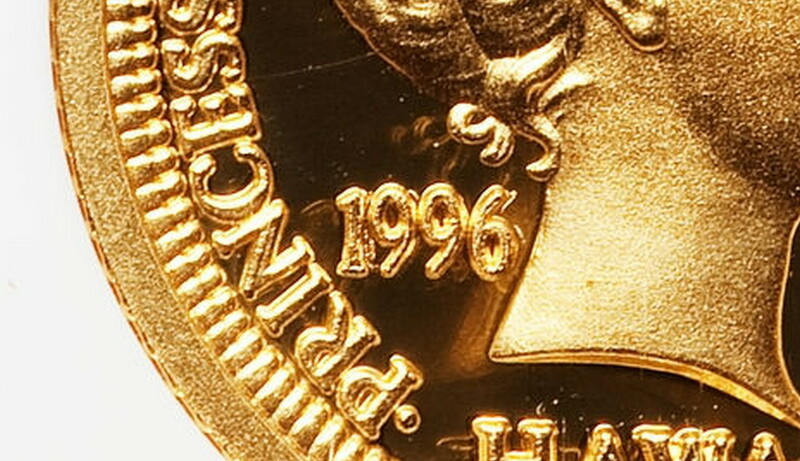 This date doubling can also be seen on two other 1996 Gold Hapaha specimens. (Click image to enlarge). Here is the last Gold Hapaha specimen. These 3 specimens are the same and have confirmed a repunched date. There are no other doubling symptoms on the obverse. 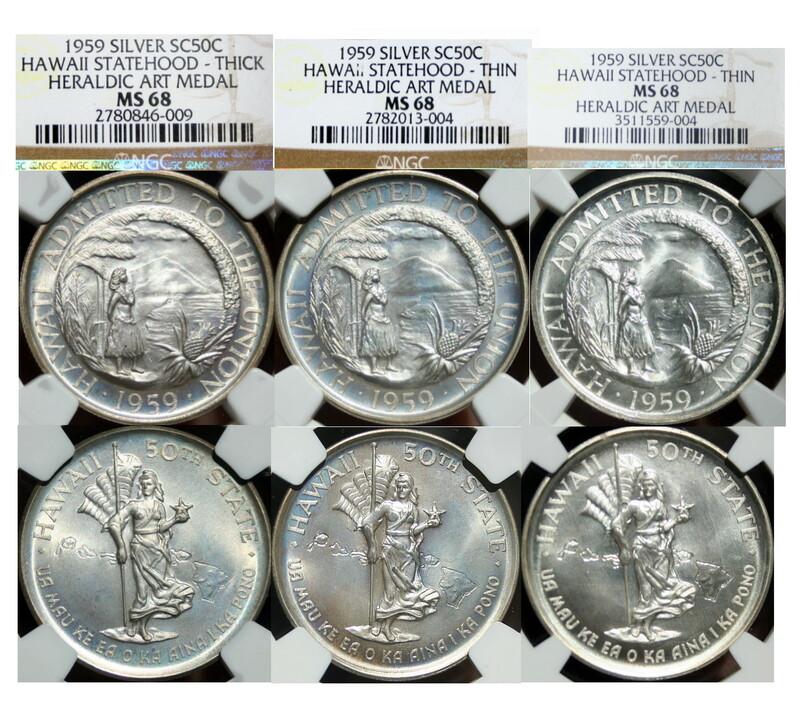 This is a great find as this is the first documented minting process error from the Royal Hawaiian Mint. Set number 89 is the discovery set for this error.